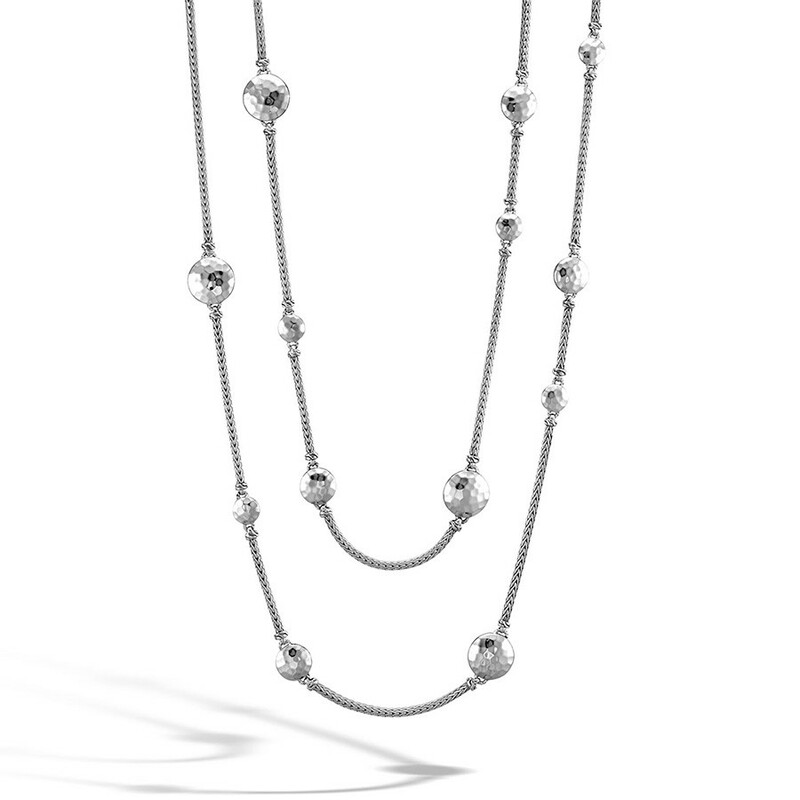 This station necklace from the Palu collection by John Hardy is simply exquisite. Chains of handcrafted sterling silver are set with fourteen disc stations of various sizes, and these discs are gently hand hammered to give the surface a rippled sheen. With 36" of beauty, this John Hardy necklace is a must-have for any savvy woman!